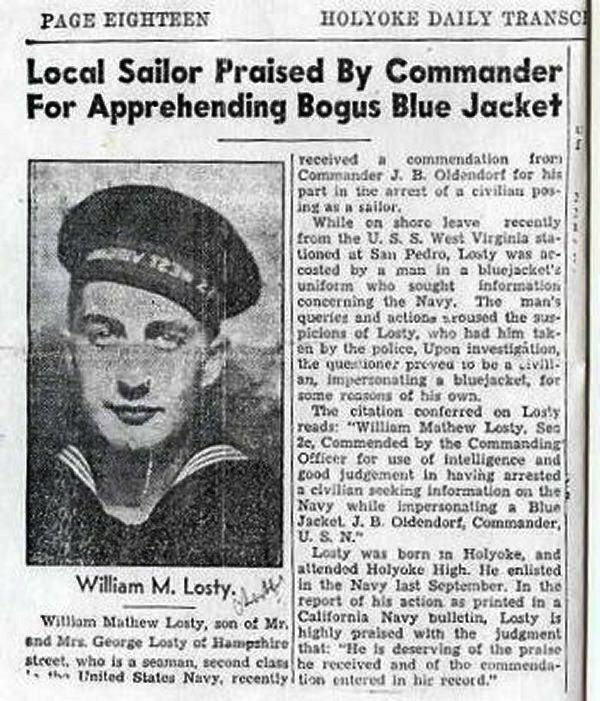 Below is a link to his memorial web site and several new paper articles about William while in the Navy including the article in which he was praised by his commander officer, J.B. Oldendorf, for his use of intelligence and good judgment in apprehending an enemy spy. 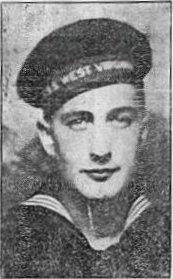 William was killed in action and his body never recovered in 1943. Upon his death he was ranked BM2c USN stationed at the Advanced Naval Base Force, Koli Pt. Last entry in his summary of service is July 18, 1943.